Police in Miami Beach are questioning a man involved in a chase that led to a fatal crash. NBC 6's Laura Rodriguez reports. Miami Beach Police say the stolen vehicle was later spotted in the city of Surfside, where the driver hit two patrol cars and fled. 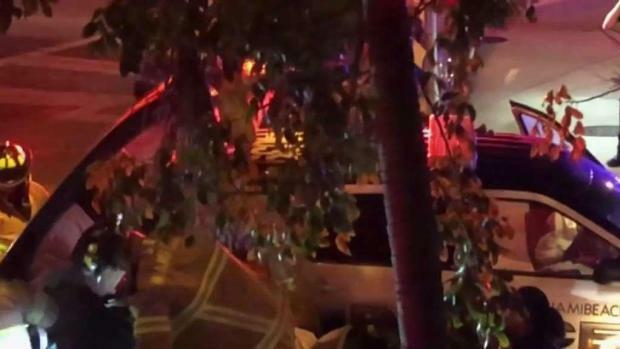 A woman was killed and an officer was rushed to the hospital after a crash that happened during the pursuit of a stolen car on Miami Beach late Monday, officials said. 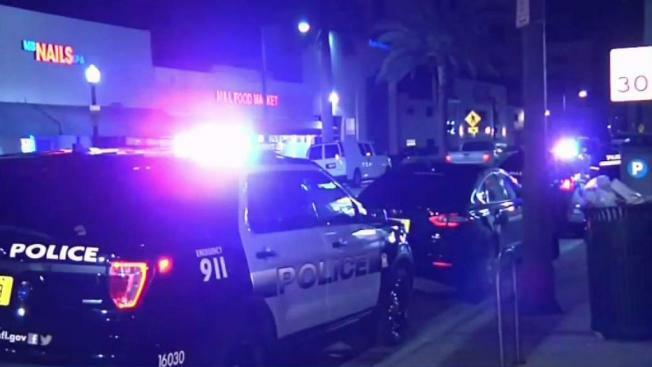 The incident began when a blue BMW was stolen from a store off Collins Avenue and 74th Street around 11 p.m. Monday night, Miami Beach Police said. An officer spotted the car around 11:50 p.m. near 76th Street and Dickens Avenue and attempted to stop it, but the driver refused, authorities said. The officer then hit another vehicle that was not involved in the initial case at 76th Street and Byron Avenue. The female driver of that second car was taken to Jackson Memorial Hospital, where she later died. She was later identified as 68-year-old Ivonne Reyes, from North Beach. Ivonne Reyes was killed after a crash that happened during the pursuit of a stolen car on Miami Beach. NBC 6's Dan Krauth and Amanda Plasencia report. The unidentified officer was taken to Ryder Trauma Center with a head laceration and is in stable condition. "It's a sad day for our community as we mourn the loss of a North Beach resident and two injured police officers due to the result of a stolen vehicle late last night," Miami Beach City Manager Jimmy Morales said in a statement. "We would like to offer our deepest condolences and heartfelt prayers to the family of the victim of this tragic accident. There are no words that can undo the tremendous pain and suffering, but the City of Miami Beach is offering all its support to the family during this difficult time." Miami Beach Police say the stolen vehicle was later spotted in the city of Surfside, where the driver hit two patrol cars and fled. The stolen vehicle was later found abandoned. NBC 6's Dan Krauth has the latest as investigators work to determine the details of the case as the officer reportedly was chasing a stolen car at the time. Investigators say they are looking for a black man who was wearing a white shirt, khaki shorts and a white baseball cap. Anyone with information is asked to call Miami Beach Police or Miami-Dade CrimeStoppers.